Symere Woods famed as Lil Uzi Vert is a professional American singer, songwriter, and rapper. He is best known for his chart-busting single ‘Bad and Boujee’ that peaked at the number 1 position on the US Billboard Hot 100. He rose into fame after the release of his "Luv Is Rage" mixtape which led to a record label deal with Atlantic Records under DJ Drama's Generation Now imprint. His second studio album, the "Heaven's Gate" influenced Eternal Atake is scheduled to be released in 2018. Working with the music group, Migos for their single, Bad and Boujee, which managed to reach #1 spot on the US Billboard Hot 100. For collaborating with the leading music artists such as Young Thug, Wiz Khalifa, and Gucci Mane. Lil Uzi Vert released his new album "New Patek" which was dropped late Monday night. It is a song devoid of anything resembling traditional pop conventions. It’s an eccentric sidestep for an artist who arguably redefined what a streaming hit could sound like on 2017’s "XO TOUR Llif3". That song, which reached Number 7 on the Billboard charts, was short and direct, insanely repetitive and a captivating dissolution of genre boundaries. "New Patek" is nearly six minutes long, an insanely long runtime for a rap song in the year 2018. It is filled with rambling verses, each packed with non-sequiturs. Lil Uzi Vert was born on 31st July in Philadelphia, Pennsylvania, the U.S. Currently, he is 24 years old. He grew up listening to Mike Jones and Ying Yang Twins with Mike Jones debut album being the first album he purchased. Later, he began listening to Wiz Khalifa and Meek Mill which encourage him to enter in the world of rap. Then he started listening to Marilyn Manson, Paramore, My Chemical Romance, and The All-American Reject at the small age of 13. Lil Uzi Vert went to the Sayre High School. He also attended Northeast High School, Olney High School, and Camelot High School. When he was in the tenth class, he started rapping. He dropped out his school and then worked at a Botton Dollar and quit there after 4 days and also he was kicked by his mother which encouraged him to get his first face tattoo, the word "Faith" under his hairline. He was born with the birth sign of Leo and his nationality is American. Being a famous rapper, he has not revealed his parent's details. Lil Uzi has got an athletic body build. He looks very handsome with his tattoo in his face. He has got a tall height of 163 cm and has a balanced weight of 68 Kg. He has got a healthy body with a charming face attracting many fans. His hair color is naturally Black and his eye color is Dark Brown. He has multicolored dreadlock hair. Lil Uzi started his career from the year 2010 and got engaged in the groups like Steak down. His first project, an EP titled "Purple Thoughtz Vol. 1" was released on 19th January 2014. His first mixtape "The Real Uzi" was released on 5th August 2014 and then he signed with Atlantic Records through DJ Drama, Don Cannon's and Leighton Morrison's imprint, Generation Now. Joining the Atlantic Records, he was featured on Carnage's single "WDYW" with Rich the Kid and ASAP Ferg. In the year 2016, he released "Money Longer" on his SoundCloud. He released his mixtape of Lil Uzi Vert vs. the World, The Perfect Luv Tape, The Real Uzi. He was named as one of the ten 2016 XXL Freshmen on June 13, 2016. He was signed to Wiz Khalifa's Taylor Gang at the end of the year 2016. He started his 2017 year on the single "Bad and Boujee" which reached number one on the Billboard Hot 100. On 27th February 2017, he released the EP Luv is Rage 1.5. On 4th April 2017, "Xo Tour Llif3" debuted on Billboard Hot 100 at number 49 and peaked at number seven. His collaboration with ASAP Mob, Frank Ocean, and Quavo was released by surprise on 15th May 2017, titled "RAF". On 25th August 2017, he released his heavily-delayed debut studio album, "Luv Is Rage 2", which included top ten single, "XO TOUR Llif 3" as the lead single. He also teased a possible sequel project to "Lil Uzi Vert vs The World possibly titled Lil Uzi Vert vs. The World 2" in September 2017. The music video "The Way Life Goes" was released with a remix featuring Nicki Minaj was released on December 2017. On 6th February 2018, he performed on Stephen Colbert's The Late Show performing "The Way Life Goes". 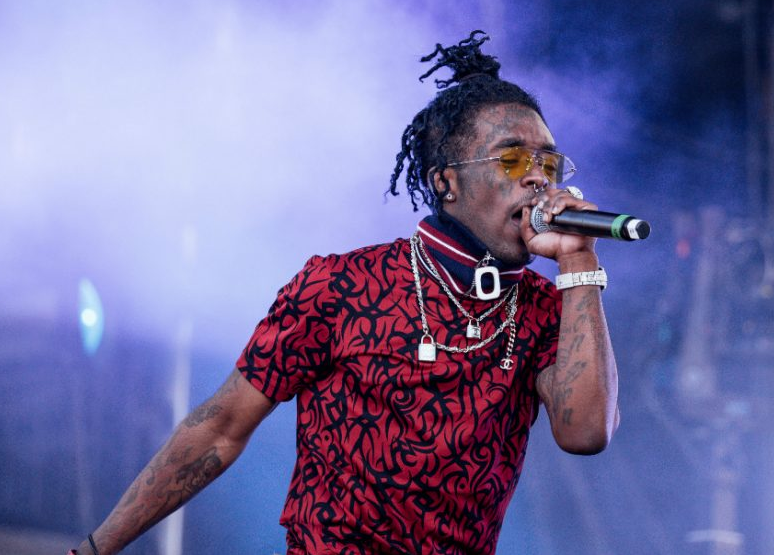 On May 2018, Don Cannon confirmed that a new Lil Uzi Vert project was dropping in 2018 and speculation arose in July 2018 when Woods tweeted "Eternal Atake", pinning it and announcing it was "coming soon". On 18th September 2018, the first single from Eternal Atake, "New Patek" was released. Moving towards his love life, Lil Uzi is a very romantic boy. He began his love life with Brittany Byrd, his girlfriend from the year 2014. He has made no attempts to hide their relationship and her bright colored hairstyles are just as popular as his. She has served as his stylist and he readily discusses her influence on his life in his interviews. In the year 2016, he revealed that they had split for a week and later ended. Due to this, he also released his single "Stole Your Luv" in which he talked about his relationship. It was rumored that she had cheated on him. Presently, he may be single or may have a girlfriend. Possibly, he is single. 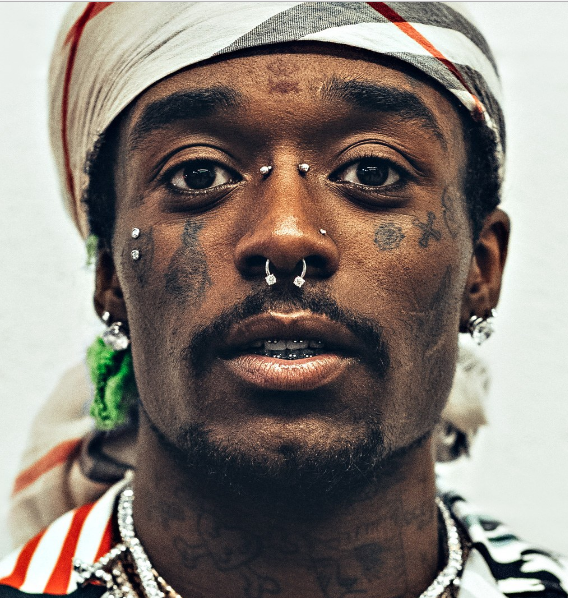 The net worth of this famous rapper, Lil Uzi is estimated to have $3,000,000 as of 2018. He is earning good amount of money and has signed a record deal with DJ Drama, and has a number one single as a featured artist on the Billboard Hot 100, and has been widely considered by major hip-hop outlets to be the next big name. He is very successful in his professional life and he is satisfied with his earning. He got ‘Faith’ word tattooed on his forehead so that he would focus only on his rap career. His logic was that he can’t go for a job interview with that face tattoo. He is particularly fond of face tattoos. He has got ‘God is king’ tattooed in a circle below his left eye. He has also got a number of Adinkra symbols from the Asante tribe of West Africa tattooed on his face. He has no ancestral connection with the tribe. During his early struggling days, he used to work as a stock person at the Bottom Dollar store. After he quit his job, his mother kicked him out of the house.